The U.S. Supreme Court ruling last June requiring warrants for blood tests for drivers suspected of DUI has continued to have repercussions throughout the United States. Now the Minnesota Supreme Court has decided that police cannot compel a driver to provide a urine sample for a DUI test unless they have a warrant. This ruling could set a precedent that dramatically changes the way that police in California handle cases of DUI in Los Angeles and other jurisdictions. 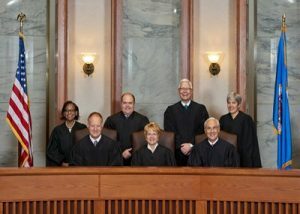 The Minnesota Supreme Court handed down a unanimous ruling in two cases: State v. Thompson and State V. Trahan. (Two justices did abstain, however.) In the Thompson case, the judges rejected arguments that a urine test is just part of a Constitutionally-valid search that police can conduct when they arrest someone.